Indian Air Force (IAF) has released the AFCAT 2 2018 Admit Card for the NCC Special Entry. The admit card has been made available at the official website. AFCAT 2 2018 Admit Card for AFSB (only for AFSB candidates) has been released. The MET candidates can download the call letter through the page. Apart from the above, it is going to release the AFCAT 2 2018 Admit Card for the Supplementary exam at afcat.cda.in. It has announced the conduction of Supplementary Exam for candidates of Kerela Region on September 22 and 23, 2018. AF will issue the AFCAT 2 2018 Admit Card similarly as the previous one. Apart from this IAF send the AFCAT 2 2018 Admit Card to aspirants registered email id. In order to download the AFCAT 2 2018 Admit card aspirants need to log in through Candidates login. Get here complete details on AFCAT 2 2018 Admit Card like the process to download the Admit card, Examination pattern, Test centers etc. Latest: Admit Card for the NCC Special Entry has been released, check the same from below. IAF appointed Center for Development and Advanced Computing (CDAC) for the conduction of the test. AFACT test is the phase 1 of the recruitment. After conduction of the AFCAT, the second round is AFSB. The second round onwards IAF itself is responsible for the recruitment process. CDAC is for the first round itself. The schedule for the first round and the AFCAT 2 2018 Admit Card is here. Click here to download the Admit Card for NCC Special Entry. Click here to download the AFSB call letter (MET candidates only). By the way, IAF sends the AFCAT 2 2018 Admit Card on candidate’s registered email id. Those candidates who do not get their AFCAT 2 2018 Admit Card for examination on their email can download it from the website directly. The link for the AFACT 2 2018 Admit Card is given above. The link is active to download the AFCAT Admit Card. The candidates can check the step to download the AFACT 2 2018 Admit Card from below. How to Download the Admit Card for Air Force Common Admission Test? First of all, click on the above link, or visit the official website. Now Click on the link “Download AFCAT 2 2018 Admit Card” to download your AFCAT Admit Card. Here you will be asked to log in through Candidate Login. By providing the credentials you will get your Admit Card page. Now take the print out of the AFCAT 2 2018 Admit Card, and keep it safe till the exam. AFCAT Admit card is often abbreviated as AFCAT Hall Ticket. The candidates of different regions name differently the admit card. Hence we are providing the information about the AFCAT Hall Ticket. The candidates must know that it is mandatory to carry the AFCAT Hall Ticket in the exam, otherwise, they will not be allowed for giving the test. What to Do if Unable to Download AFCAT 2 2018 Admit Card? However, there are two methods of getting the AFCAT 2 2018 Admit Card. Either IAF will send your Admission card itself on your registered mobile on or you can directly download it from the official website. But still you are unable to download your AFCAT 2 2018 Admit Card, you have to bring this issue to the notice of IAF. IAF will solve your queries regarding the over the phone calls or you can drop the emails on the respective email id. AFCAT 2 2018 Admit Card will contain some particular information which will summarise the exam information and candidates identity. The details on the AFCAT 2 2018 Admit Card are same as on Application Form and the most of data on Admit Card is taken from the Application form filled by Candidates. Check the details which will present on the AFCAT 2 2018 Admit Card from here. 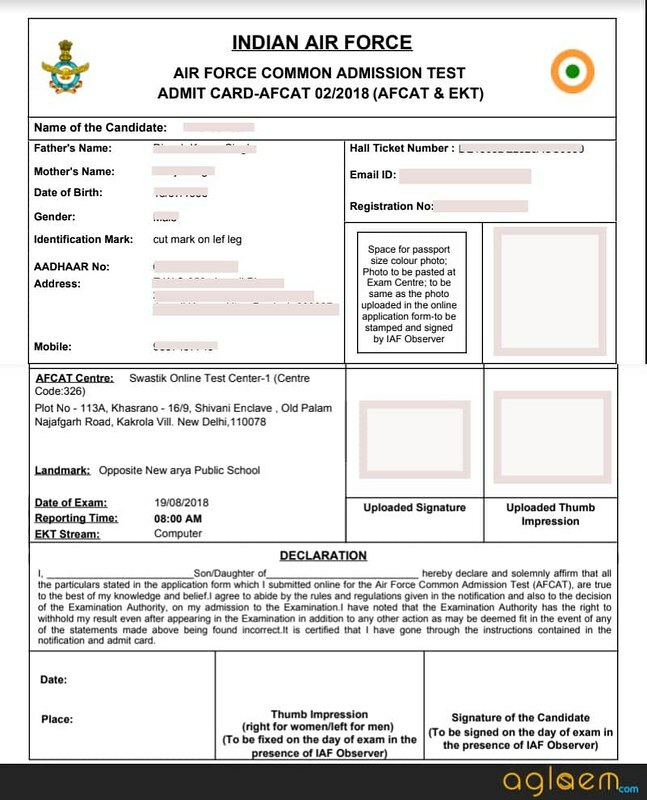 Here is the sample of the AFCAT 2 2018 Admit Card. What to Carry in AFCAT along with AFCAT 2 Admit Card? The aspirants who are going to appear in the AFCAT 2 have to bring some documents, which could make easy entry of the candidates in the examination hall.candidatesadtes can check the list of the following documents from here. Another valid photo identity card such as PAN Card/ Passport/ Driving License/ Voter identity card/ college identity card or any other valid photo identity proof, with details of name, father s name, date of birth and a clear photograph. Also two passport size photograph, the photograph should be same as uploaded in the Application Form. Ballpoint pen, either blue or black whichever is preferable. Note: The candidate should carry theses thing along with himself for easy entry in the examination hall. Those who will not bring these documents can harm his /her candidature. The aspirants who are going attempt the AFACT 2 2018 should be aware of the important instructions which are supposed to be followed by the candidate during the recruitment process and examination. IAF will issue the AFCAT 2 2018 Admit Card three weeks before the examination. So aspirants will able to download the AFCAT 2 2018 Admit Card three weeks prior to the test. watches with facilities of calculator, mobile phones, blue tooth, pager or any other digital device in the examination hall. Do not carry any valuable items in the examination premises. As aspirant will be responsible for any loses. Candidates will not get the entry in the examination hall without the AFCAT 2 2018 Admit Card. So carrying the AFCAT 2 2018 Admit Card is mandatory. If anyone uses the Unfair means in the test, then IAF will withdrawal the candidature of such candidate. Basically, AFCAT is an Online Test. 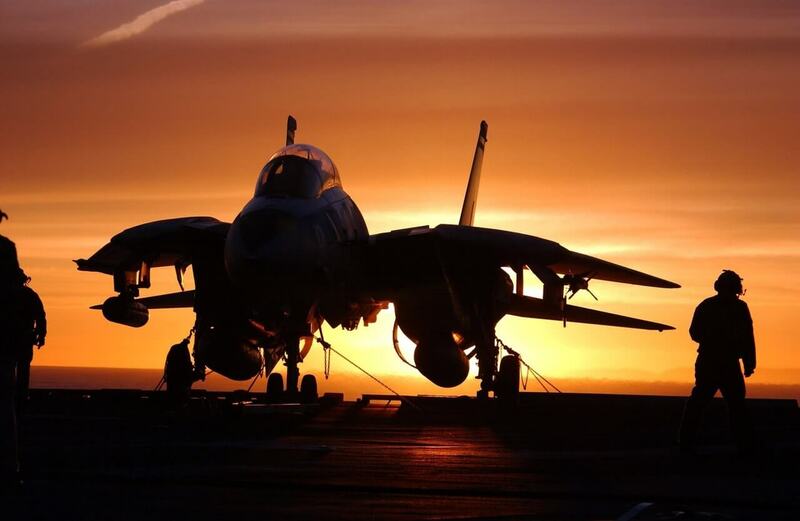 Which have two parts Air Force Common Admission Test (AFCAT) & Engineering Knowledge Test (EKT). AFCAT is conducted to test the aspirant’s basic knowledge, and EKT is for testing the Technical Knowledge of the candidate. Generally, each candidate who participates in AFCAT have to undergo the AFCAT but only Technical entry candidates have to appear for the EKT. Standard of the Examination: The standard of Numerical Ability Questions will be of Matriculation level. The standard of questions in other subjects will be of graduation level (Indian University). Marking Scheme: 03 marks will be awarded for the correct answer, and 01 marks will be deducted for incorrect answer. It is mandatory for the Engineers to appear in both of the tests, and they have to pass the EKT. They have to pass EKT along with the AFCAT. The EKT takes place immediately after the AFCAT paper that is as soon as the two hours of AFCAT. Candidates have many queries about AFCAT and AFCAT 2 Admit Card. So here we have presented some of the frequently asked questions related to AFCAT 2 2018 Admit Card generation and other important topics. Ques 1: I am unable to generate my AFCAT 2 2018 Admit Card/Call Letter. It is showing “Form under submission”. 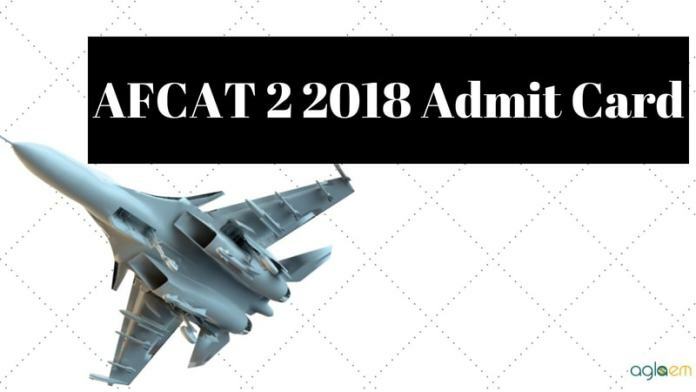 Tell me how to generate AFCAT 2 2018 Admit Card? Ans: You may not have submitted the application form finally. That’s why it is showing this message. Ques 2: How do I download my AFCAT 2 2018 Admit Card/Call Letter? Ans: One Air Force Headquarter generates the AFCAT 2 2018 Admit Card/call letter you will be able to download the AFCAT 2 2018 Admit Card by entering your login credentials. Ques 3: My Mother/father’s name is printed wrongly on the AFCAT 2 2018 Admit Card? Ans: The details on the AFCAT 2 2018 Admit Card are exactly the same as the information provided by the candidates in the application form. Therefore, be careful, check and recheck your entries before making the final submission. Ques 4: I have lost my username and password. How can I recover those? Ans: Your registered email id is the username for the AFCAT. In case you have forgotten your password you can generate a new form the Forgot password option. Ques 5: I have some queries related to AFSB testing? Ans: For AFSB and SSB related queries contact – 011 23010231 ext. 7645 and 7646. AFCAT 2 will hold on the following centers in India. Check Center’s list form below. After conduction of the AFCAT and EKT, the IAF will release the result on the afcat.cdac.in. For AFCAT entry IAF will prepare the list of the candidates. Who will obtain the minimum qualifying marks in the Online AFCAT, IAF will set the cut off marks for the test. Those who will cross the cut off marks have to appear in second round Air Force Selection Board (AFSB) testing. The candidates will not get the AFCAT 2 2018 Admit Card for AFSB separately. The aspirants need to bring the attested copy of the AFCAT 2 2018 Admit card, which will be attested on the AFCAT center during the examination. AFCAT is an abbreviation for Air Force Common Admission Test. It is a nationwide competitive exam to get an entry in the air arm of the country. Our Airforce bagged the rank four in the world amongst all air forces in the world. Hence the selection in IAF would be special, the selection process of IAF is through AFCAT. This year first-time IAF conducted the AFCAT exam through online mode. Earlier this exam was holding through the pen paper-based. Last time IAF appointed CDAC (Center for Development Advance Computing) to conduct the online examination and to develop a new website for IAF. So form last time onwards IAF emphasizes to improve the quality of the exam and selection process. After written examination the qualified candidates have to appear for the AFSB i. e. Air Force Selection Board Testing. The candidates have to perform various physical tasks during AFSB. If any candidate has any query regarding the AFCAT Hall Ticket then, He/she can comment in the comment box. It is said that I should take back to back printout of the admit card and that it is not applicable for non-EKT students. But I am unable to find a shop that takes back to back Color photos. What should I do? I have cleared the afcat written exam and selected the afsb centre but i didn’t download callup letter.Now i am unable to download it since all links have been closed.What should i do now in such case as my ssb is on 18 feb 2019. You should write a email to their official website and contact the official.